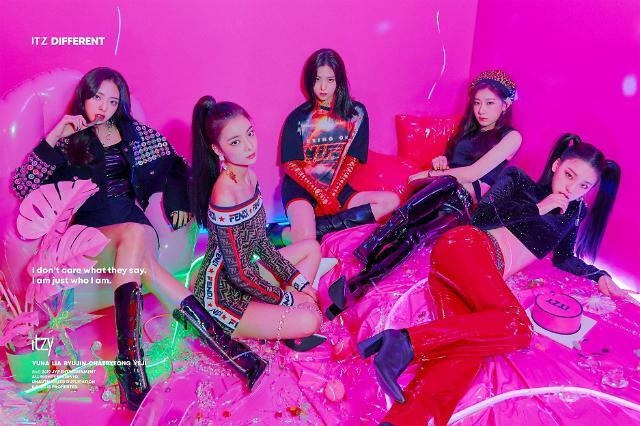 SEOUL -- ITZY, a five-member rookie girl band, has released its very first song "Dalla Dalla". The song's music video garnered some four million views on YouTube in less than 24 hours. JYP Entertainment pre-released ITZY's song Monday through YouTube before the release of the group's digital single album "IT'z Different". ITZY, the sister band of TWICE, was the agency's first girl group in four years.